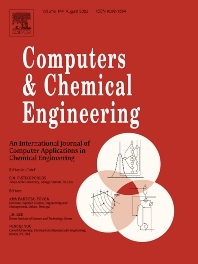 Articles published cover different aspects of the application of process systems engineering to one or more of the general areas listed above, including new applications of established methods, comparisons of alternative methodologies, descriptions of state-of-the-art industrial applications and significant developments in computing targeted at training/education. Reports of software implementation must feature novel uses of state-of-the-art computing technologies. Computers & Chemical Engineering publishes full-length articles, perspective papers, journal reviews, short notes and letters to the editor.